Egerton University is the premier Agricultural public University in Kenya. It has however, broadened to other areas of research and teaching such as natural resources, applied sciences, education, computer science, medical sciences, education, engineering and business studies. The University’s main campus is located at Njoro, about 180 Kms northwest of Nairobi off Njoro-Mau Narok road. The famous Lake Nakuru, the home of beautiful lesser flamingoes is only 27 Kms away. 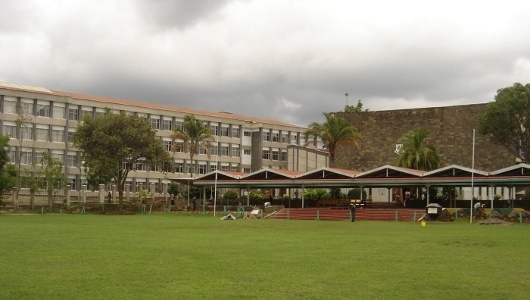 The Nakuru Town Campus College is the other campus and is non-residential. The school was founded in 1939 and was originally named Egerton Farm School. It was established by a large land grant of 740 acres (3 km²) by Lord Maurice Egerton of Tatton. The school's original purpose was to prepare white European youth for careers in agriculture. By 1955, the name had changed to Egerton Agricultural College. A one-year certificate course and a two-year diploma course in agriculture were offered. In 1958, Lord Egerton donated another 1,100 acres (4.5 km²) of land. Soon afterward, the college opened its doors to people of all races from Kenya and other African countries. The first African principal, Dr. William Odongo Omamo, was appointed in 1966. In 1979, due to support from the Government of Kenya and USAID, the college expanded yet again. It became a part of the University of Nairobi system. In 1987, the College was finally recognized as a Chartered Public University. The University offers various certificates, diplomas and degrees courses in a variety of fields in their different campuses and constituent colleges. The employs more than 700 workers. From Egerton University back to home page.